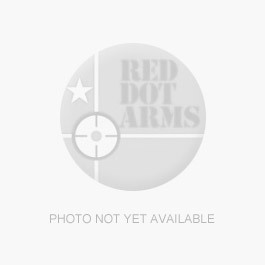 Welcome to Red Dot Arms - Red Dot Arms, Inc. is a multi-faceted business dedicated to the education of individuals on the proper use and care of firearms. Red Dot Arms also sell a full line of firearms and ammunition. Whether you are a novice or marksman or somewhere in the middle, Red Dot Arms NRA certified instructors and knowledgeable sales staff can be your resource for all your firearm related questions and needs. Comprehensive on-site gunsmithing services for all firearms. Give your gun a new look with a great color. FFL Transfer Services, Transfer Request Form, and Fees. Illinois residents can get FOID cards here. Notarize your documents here at no charge. Call ahead to verfify that a Red Dot Arms Notary staff member is available. Sell your firearms for cash or trade them in towards the purchase of a new one. Don't see it on our site? Try our NEW Special Order feature. If you require assistance, please feel free to email us or call during regular business hours. Our Shipping Policies, Carriers, and Rate Information. Order Online and pickup In-Store. Perfect for when you're heading to the range. Please view our Return Policy and Complete an RMA request for all product returns.